Hal Lindsey's bestselling expose of a dangerous movement in the church which is striving for exclusive worldwide Christian leadership of church and state. By the author of The Late Great Planet Earth. Hal Lindsey is a Christian evangelist who has written many best-selling books on Biblical prophecy. Born in Houston, Texas, Lindsey was a brawling, hard-drinking tugboat captain on the Mississippi River during his youth, until a born again experience transformed his life. He described those experiences in "The Events That Changed My Life" (1977). After his conversion, Lindsey earned a degree in theology from Dallas Theological Seminary and worked with Campus Crusade for Christ for eight years. Lindsey first won renown for "The Late Great Planet Earth" which he co-wrote with Carole Carlson in 1970. The book used the Biblical prophets to interpret contemporary events and quickly became a best seller. Lindsey and Carlson followed that success with "Satan is Alive and Well on Planet Earth" (1972), which explores the Bible's teachings about the devil. In "There's a New World Coming" (1973, rev. ed. 1984), Lindsey expanded on the themes of "The Late Great Planet Earth', with similar success. His other books include "The 1980's: Countdown to Armageddon" (1980), "Combat Faith" (1986) and "Amazing Grace" (1995). 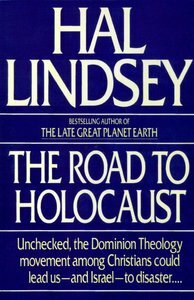 Lindsey has explained the appeal and success of his work by describing the formula he used in writing his first book: "As I wrote, I'd imagine that I was sitting across the table from a young person--a cynical, irreligious person--and I'd try to convince him that the Bible prophecies were true," he told an interviewer. "If you can make a young person understand, then the others will understand, too."